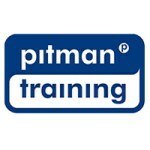 Pitman Training Centre Naas delivers courses in Co. Kildare and helps people acquire the skills they need for their future careers. Pitman Training Centre Naas provides a relaxed and supportive atmosphere for students eager to learn and develop skills needed for their workplace. The centre offers flexibility when it comes studying, exempt from any formal schedules Pitman works at arranging our times around the students’ busy schedule, whether it be work or home life. Pitman Training Centre Naas caters a wide range of full-time, part-time and distance learning courses for students to avail from and enhance their skills that their industry employers require. Pitman ensures a friendly welcome for everyone – whether you’ve just left college, returning to work, looking for a new career or haven’t studied for many years. We also have a CV expert to help you to present yourself in the most positive way to your prospective employer. Our friendly and helpful staff are here to help you achieve your goal, whether it is updating your current skills or moving to a new career.